So here is the line up for Series 1. Here is what I found on the pegs. So did I get lucky? Did they get 2 cases and someone took all of the 240Zs and left me the greenie? 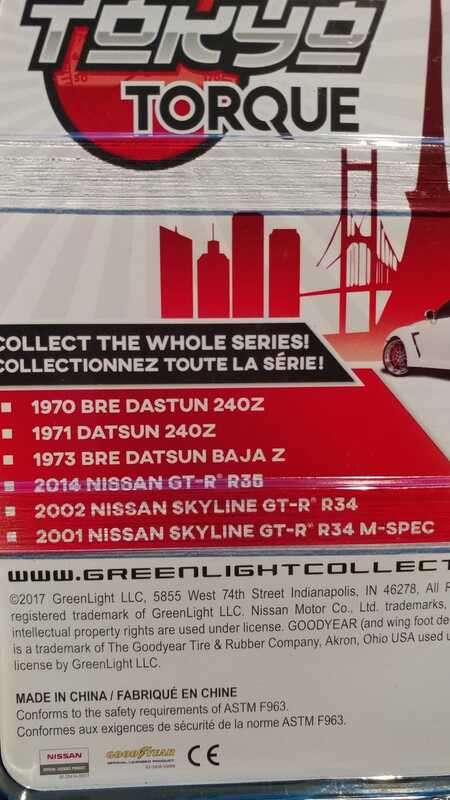 Or maybe Greenlight screwed up the assortment on a case? Guess it was my lucky day. This is hands down my best greenie find in the wild.